Disarming songstress Hannah Cameron has been writing songs that softly creep under your skin and tickle your mind since first breaking onto the scene in 2015. Her first independently released album 'Blow My House Down' saw the young folk artist play around the country with her full band on a National tour presented by Arts Victoria. Following on from this Cameron released a solo B-side EP titled 'Offcuts' and soon after began work on her second album 'I Lay Where You Lie' for release 8 June 2018. Recorded with the support of Creative Victoria, 'I Lay Where You Lie' was co-produced with multi-instrumentalist and long time collaborator James Gilligan, and features Leigh Fisher (drums), Kieran Hensey (sax), Louis King (guitar) and Clio Renner (piano). The album’s first lifted single 'No Pen of Mine' received a strong reception upon its release in August 2017, with follow up single 'What's It For' added to rotation on Double J and FBi radio. 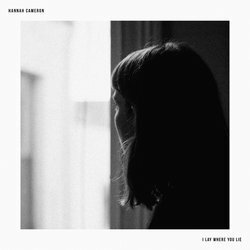 Having opened for the likes of Broads, LULUC, Leah Senior, Coda Chroma and more, Hannah Cameron live is an absolute treat, so be sure to catch her launch 'I Lay Where You Lie' this winter. "A song about forgiveness. It was written during a time when I was hurt pretty brutally by a close friend. I had this moment of realising that I could choose how I wanted to respond and that it’s easier to love and forgive than it is to hold onto hurt."